Tajikistan Country political map with 4 administrative divisions, Sughd, Region of Republican Subordination, Khatlon, and Gorno-Badakhshan. Tajikistan Outline map labeled with capital and major cities, Dushanbe, Khujand, Kulob, Qurghonteppa, and Istaravshan. 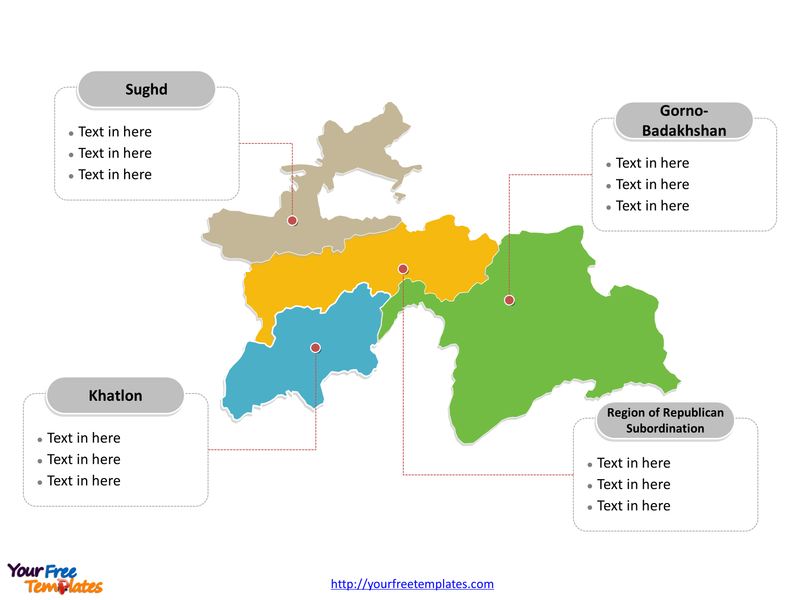 The Map of Tajikistan Template includes two slides. Tajikistan is a mountainous, landlocked country in Central Asia with an estimated 8 million people in 2013, and an area of 143,100 km2. 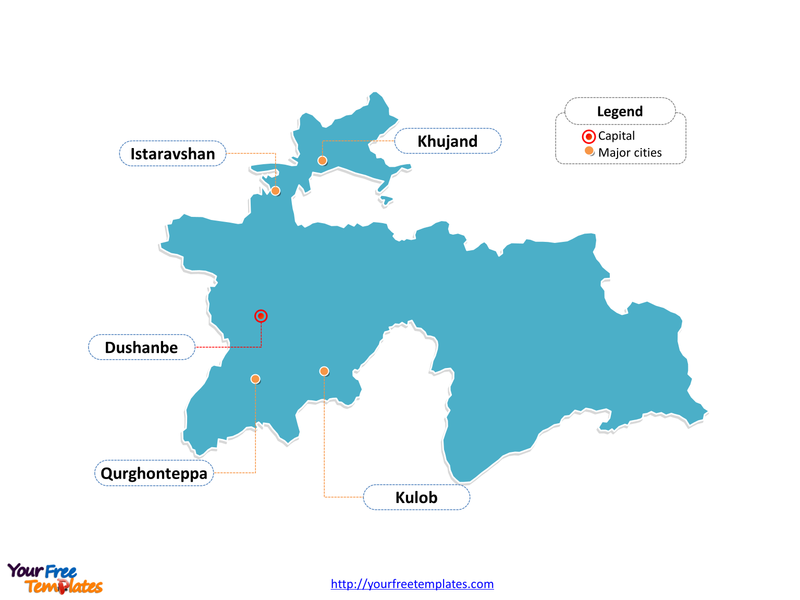 Dushanbe is the capital and largest city of Tajikistan, other major cities including Khujand, Kulob, Qurghonteppa, and Istaravshan. Slide 2, Country political map labeled with divisions. Tajikistan is a country divided into 4 administrative divisions; they are Sughd, Region of Republican Subordination, Khatlon, and Gorno-Badakhshan. Every individual political subdivision is an editable shape.